January – This is a top class month for career focus. You will be focused and feel that the stagnant period is passing. There will be some good news coming your way and you will start to feel that all your efforts have not gone unnoticed. You are a good conscientious worker, often putting your work above family and friends. You are also not fazed by long hours and readily give your free time to work projects. February – There could be some sacrifices you have to make this month, possibly to do with a family situation that has developed suddenly and unexpectedly. You may need to curb your tongue and be diplomatic or there could be unnecessary arguments and tension. Try not to let this domestic situation get you down. It is transitory and is unlikely to be repeated. March – This is a lovely month for you Capricorn. You will spend some quality time with friends and could visit some lovely places. You may turn your attention to house cleaning or re-decorating the home. You will have plenty of friends and family willing to help. Potentially you could kick with tradition and try something new and exciting. April – This is an excellent month for a career and you will make strides. Others will be impressed by your dedication to the job and to your orderly sense of duty. There could be more responsibilities put on your shoulders and someone in authority will notice how hard you work and give you some much-needed guidance. You could also be called upon to solve a problem for someone who will be very grateful. May – You may have yearnings to spend some time out of doors, Capricorn. This is quite a quiet peaceful month for you and you may be thinking of organising an event to brighten things up. Socially the scene will be quite dull and you may decide to bury yourself in your work. Others will admire your sense of duty and your self-discipline in continuing to work long hours even when they are not necessarily required. June – This is a completely different month to the last one. You will be so busy you will hardly have time to go home at night and sleep. Your feet won’t touch the ground. Luckily you are so highly organised. Problems will come your way, one after another and you will solve them or park them according to priority. You are a true professional in every sense. Most people will agree that you work beyond the call of duty, always doing that little bit extra. July – There could be a strong male, older than you, who becomes important to you in a professional capacity. He gives guidance and common sense. You will need advice and he will be there to support you. Try not to become too dependent upon him though he has extraordinarily broad shoulders. He will take a personal interest in every part of your life, including your private life if you allow him to. He means no harm, only good. August – This is a month for partying. Not that you will be the life and soul, but you will relax and loosen up a lot this month. Life is for the living. Go and enjoy yourself. Don’t feel guilty if you don’t quite reach your next target, or set yourself the next goal. You may shock others in your behaviour but you will get back your control all too quickly and normality will resume. September – This is a month of ups and downs. You will get help from people you would least expect it from. You will enjoy some good luck and you will also feel you are learning a lot this month. If you feel down it is because you are once again working too hard and not allowing yourself to relax or wind down. You need to adopt a better work-life balance. Maybe you should ask a best friend for some advice. October – There could be more ups and down this month, Capricorn. It is as though October is a continuation of September in your astrological calendar. The best advice I can give is to go with the flow. Do not expect too much of others and you could be pleasantly surprised. You may feel disinclined to be sociable which is a pity because you have some good friends who really value time spent with you. November – You will be more assertive with your plans this month and ready to seize opportunities that come your way. Your work schedule is likely to be tough, but deep down you like it this way and will thrive in a professional sense. Others around you will admire your work ethic from a distance. You may not be too approachable in your current state of mind. 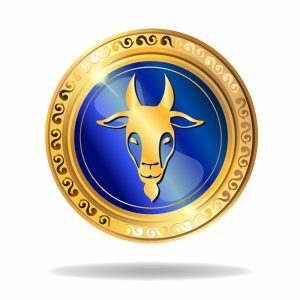 December – This is a lovely month for those born under the sign of the Goat. You will be in good spirits and talkative. Others will be charmed by your winning ways. It is a lovely month for romance and you will be happy in love. For once work may not be such a high priority in your life and you will loosen up. Others will finally realise you are human after all, Capricorn.